Post it! - Give it to your friends! See the Facebook Page for the event! 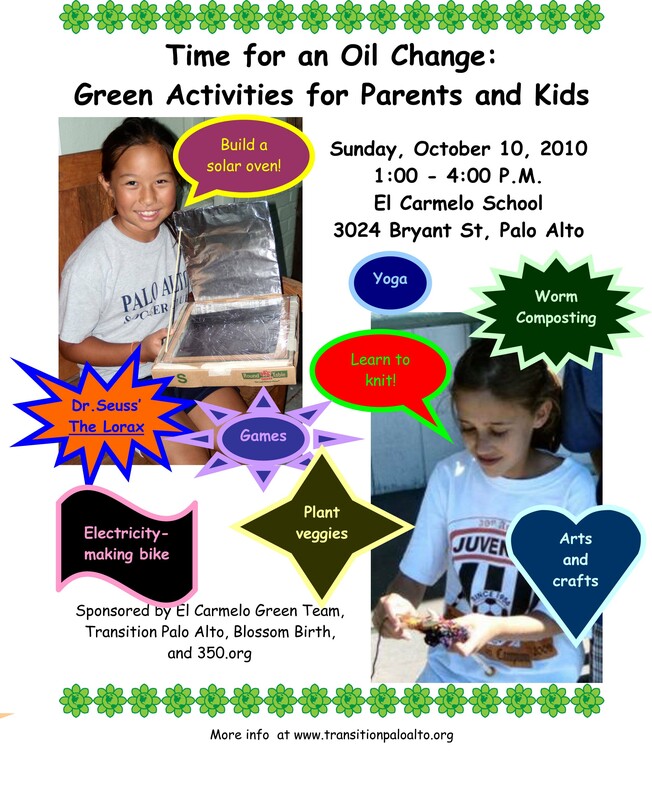 Come out for an afternoon of fun, carbon-cutting activities for kids young and old. We'll have lots of fun things to do, plus games, arts and crafts, and prizes and more. 2pm - Gather around the Oil Memorial to attach things we'll have to give up when the oil is gone! We'll also have a bike you can ride to light a bulb, and games to play. Pledge to walk or bike, cut your carbon footprint at the same time! Plus, fill out your Green Passport to win prizes! This event is a part of the 350.org Global Work Party to reduce carbon emissions.